Well, we know at least one overgrown kid who’s been very, very naughty this year. Rest assured; you’d still think at least twice before sitting in Willie’s lap. The red band trailer for the sequel released Tuesday features Thornton’s Willie cursing out children, brawling with other faux Santas, knocking back the booze, puking in an alley and launching a well-intentioned but ill-fated attempt to get Brett Kelly (“The Kid” from the original film) laid. Whew — good thing Christmas only comes once a year. 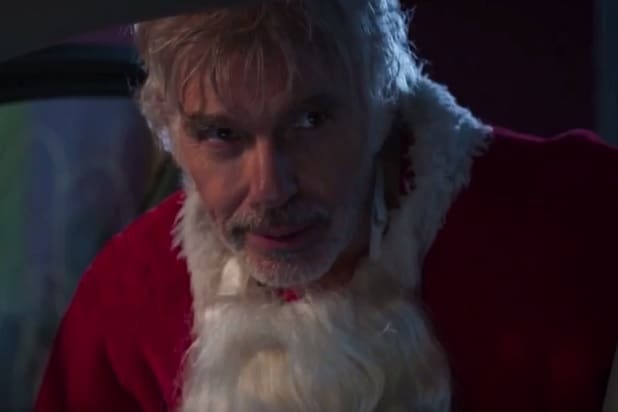 “Bad Santa 2,” which also stars Kathy Bates, Tony Cox and Christina Hendricks, hit theaters November 23 — just in time to ruin your appetite for Thanksgiving. Watch the new red band trailer below.